November 18 – The rise of Thailand as a footballing power in the region was recognised by Asian Football Confederation (AFC) president Shaikh Salman bin Ebrahim Al Khalifa, who pledged further support for the Football Association of Thailand (FAT) during a visit by a Thai delegation to AFC House in Kuala Lumpur. 2016 has been a good year for Thailand with the men’s team reaching the AFC U-23 Championship finals, their futsal team playing in the FIFA Futsal World Cup in Colombia and last year Thailand’s women’s team reaching the FIFA Women’s World Cup in Canada for the first time. Thailand has also hosted the AFC Club Futsal Championship and the AFC Women’s Under-17 qualifying tournament, while FAT also received financial assistance under the Expert Pool project which has provided elite instructors for the referees in Thailand. 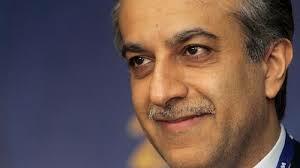 Shaikh Salman passed on the Asian football family’s condolences to the FA Thailand President Pol. Gen Somyot Poompanmoung on the recent passing of His Majesty King Bhumibol Adulyadej and thanked the FA Thailand delegation for travelling to the Malaysian capital. “Thailand has an extremely important role to play in the region and that includes their role in football. They are a pivotal country who can help bring our AFC family even closer together in the coming years… You have turned a new page in the history of FA Thailand. FA Thailand President Pol. Gen Somyot Poompanmoung added: “We are appreciative of the support that the AFC has provided for an administration which is only a few months old.